Rev. 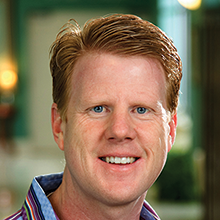 Jonathan Falwell is the Senior Pastor of Thomas Road Baptist Church (TRBC) in Lynchburg, Virginia. He served at TRBC under the leadership of his father and Founding Pastor, Dr. Jerry Falwell, from 1995 until his father’s death in May 2007. He was called to be the Senior Pastor on June 3, 2007 by a unanimous vote of the church congregation. His responsibilities include the preaching duties of the church, the management of over 250 staff members, communication with over 20,000 church members, long-term planning for ministry outreach, as well as the planning of special outreach events that reach well over 250,000 individuals in person each year in addition to the church’s regular attendees, and millions more through the church’s television ministries. Rev. Falwell preaches at the main worship services each Sunday morning. TRBC has over 12,000 in attendance each Sunday and an additional 8,000 for its midweek services.